As a licensed psychologist and adjunct faculty at the University of Manitoba, Adrienne offers extensive experience working with athletes in both Canada and the United States at all levels of performance. She has attended almost every multi-sport games from the Canada Games to the Olympics and Paralympics, and has travelled extensively with a wide range of teams. In addition to her work in sport, she has worked with several other high performers including medical doctors, business leaders and performing artists. She is currently the chair of the Canadian Sport Psychology Association, the discipline lead for psychology with the National Sport Science and Medicine Advisory Council of Canada and an active member of several other professional associations. Prior to returning to Canada in 2007, Adrienne was a faculty member at Kansas State University where she was the Coordinator of the Curriculum for Student Services in Intercollegiate Athletics and the Athletic Department Liaison. Her practice draws from several psychological theories including humanism, mindfulness and cognitive behavioural therapy (CBT). 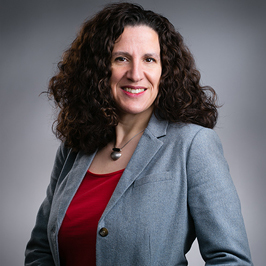 As a result of her work with CSCM, Adrienne established The Cal Botterill Lecture in 2007 when Dr. Cal Botterill retired from teaching at the University of Winnipeg. The lecture series is one of the most attended events CSCM hosts on a yearly basis. Adrienne believes that passion, commitment and intensity unleash a new freedom of an energetic, balanced and holistic person who is healthy for life. Be grounded. Be amazing. Be well. WINNIPEG SUN (January 23) If an athlete’s head isn’t in the right place, even the most refined skills and physical shape will not be enough to produce success at the highest level.